A man that goes by the name Bob Smith, could be his real name, films what might be a Bigfoot near the Salmon river in Idaho. 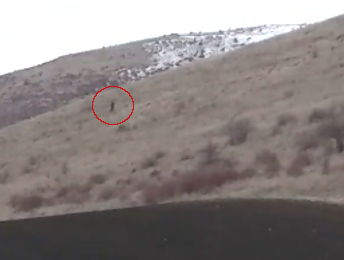 Apparently, Bob was out on his property when he saw this figure walking on a steep hill. The whipped out his cell phone and got video of the figure. Bob states " Possible Bigfoot walking across open hillside, not sure what it is"
Bob remains relatively clam during his sighting and filming. The figure is slowly moving away from him. One has to wonder, assuming it is a Bigfoot, why or how did it get and stay out in the open so long. You would think it would have picked up the pace and headed for the trees. Here is a couple of still frames that I have zoomed in on. Due to the resolution of the video, details are hard to bring out. The figure is dark and has the same color pattern all over. We can't really get an idea of the proportions of the figure. 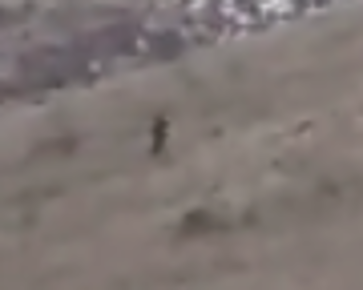 Could it be a Bigfoot? Yes. Could it be a human in dark clothing? Yes. We just can't tell from the image or video. 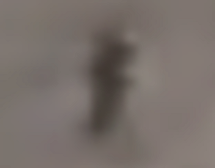 Here is a very tight zoom on the figure. There are no real details that jump out. The Payette National Forest and Salmon Challis National Forest. I would think these areas would be a great place for Bigfoot to be in. Interesting video, I hope more information comes out.